USCD engineers may have found a way to efficiently and safely store hydrogen. Researchers at University of California, San Diego have developed new ceramic materials for hydrogen storage that have been created using a blend of barium hexaboride, calcium hexaboride and strontium. These compounds could be manufactured at lower costs compared to traditional methods. The ceramics manufacturing process is not as complex and is faster than standard methods that are used for producing these kinds of materials. Professor Olivia Graeve from the Jacobs School of Engineering at UCSD said, “We are looking for solid materials that can store and release hydrogen easily.” Graeve’s is internationally renowned as an expert in nanomaterials manufacturing. The ability to store hydrogen has become more and more essential, especially with hydrogen fuel cells gaining increasing popularity in industry and beyond as power sources. However, being the periodic table’s lightest element, this makes hydrogen hard to store. For instance, when stored in pressurized tanks, it tends to disperse through the tank’s walls. Moreover, when it is stored, it must be compressed in such a way that it will take up manageable quantities of space. 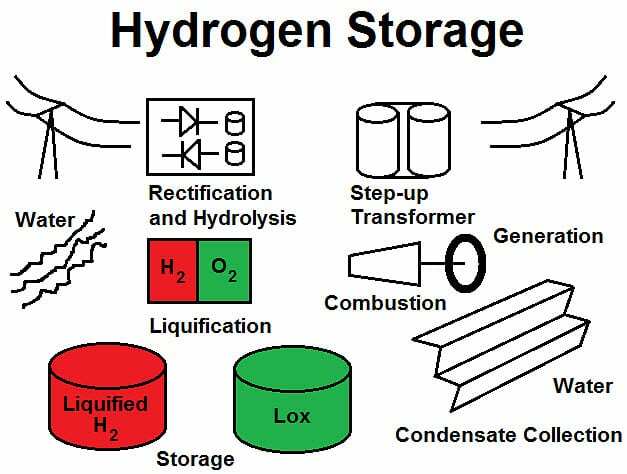 Hydrogen storage could be simplified with combustion synthesis. The outcome is a type of ceramic material that is, in essence, a boron cage containing crystalline structures. For hydrogen to be stored, researchers make adjustments in the cage, swapping boron, strontium and calcium with hydrogen atoms. This new hydrogen storage research is part of a $1.2 million project that is being funded by the National Science Foundation (NSF). Currently, the work the engineers have done has reached the proof of concept phase. They presented their work last month in Mexico at the third International Symposium on Nanoscience and Nanomaterials.